It’s funny, but Audio Research and McIntosh are all part of the same happy family, have so much in common, but are also miles apart. Both have their followers – in fact, both have followers who are loyal to the point of decades-long exclusivity – and both have an extensive portfolio of analogue and digital electronics (McIntosh’s interpretation of ‘extensive’ is not put through the high-end filter, however, and is more ‘comprehensive’ as a result). But, in all other manners, the two move in very different circles. 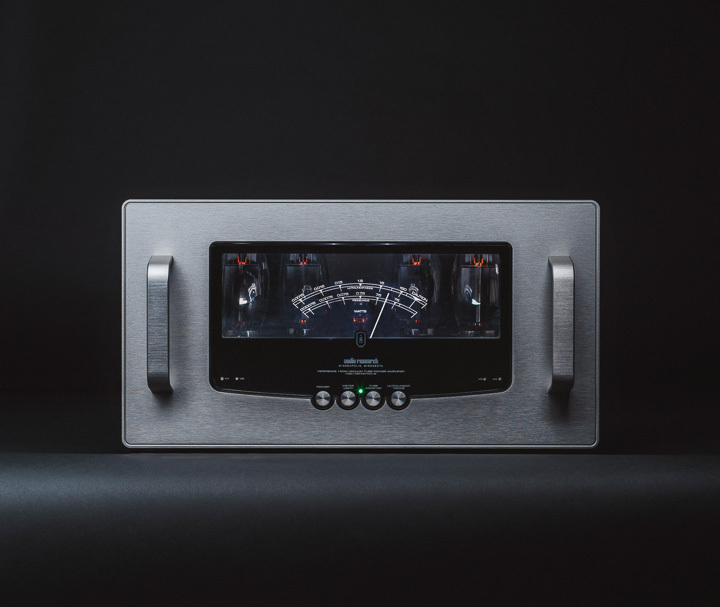 Audio Research enthusiasts find those large VU meters in McIntosh products a bit garish. So when the REF 160M came along with its central panel sporting a large, backlit VU meter, Audio Research’s enthusiasts... absolutely loved it. In fairness, the look of the VU meters on the Audio Research amps are more understated and less vivid blue than the ones on McIntosh models. The REF 160M is not all about the meters, but that’s the headline aspect of these excellent mono amplifiers. There is also a sense of design filtering through the whole ARC range now; this shares a lot of design cues with the influential, although now about to be defunct G-Series. The clever part is this also fits in with the styling of previous Audio Research models, which plays well to an audience who might have a collection of Audio Research designs dating back dozens of years. Classic, yet modern... nice! This is something of a synthesis product, pulling together themes and concepts found in some of the best recent Audio Research products, which means some of the best-ever Audio Research products to most ears, as the company has been going through something of a golden age in the last dozen or so years. With models like the Reference 75SE, the company began to use the KT150 power valve. It’s now in virtually every amplifier the company makes. And, with the launch of the VT80 from the Foundation Series, the company started using a clever auto-bias system. This means no more adjusting the amplifier until a light goes out or the meter reaches its central position. It’s all done automatically now. This also means those four KT150 power valves on each channel can be exchanged for 6550, KT88, and KT120 valves and autobiasing takes care of the rest. That being said, you might want to ask ‘why’, when KT150s sound so damn good. You can also switch between ‘ultralinear’ and ‘triode’ power on the fly, just by pressing a button on the front panel. The front panel changes from green to blue, the VU meters respond by leaping forward (ultralinear) or back (triode). The choice between ultralinear and triode is not completely clear-cut and depends on sonic demands and the loudspeaker used with the amps. You can even switch between single-ended and balanced operation, although this time with a rear-mounted toggle switch rather than from the front panel (that is perhaps more understandable as few are likely to switch from balanced to single-ended in the same way you might switch to and from triode operation. I would suspect the majority of REF 160M models will be used with other Reference Series models, which likely means defaulting to the balanced option every time, but that’s no bad thing as Audio Research power amplifiers frequently sound better in balanced operation.